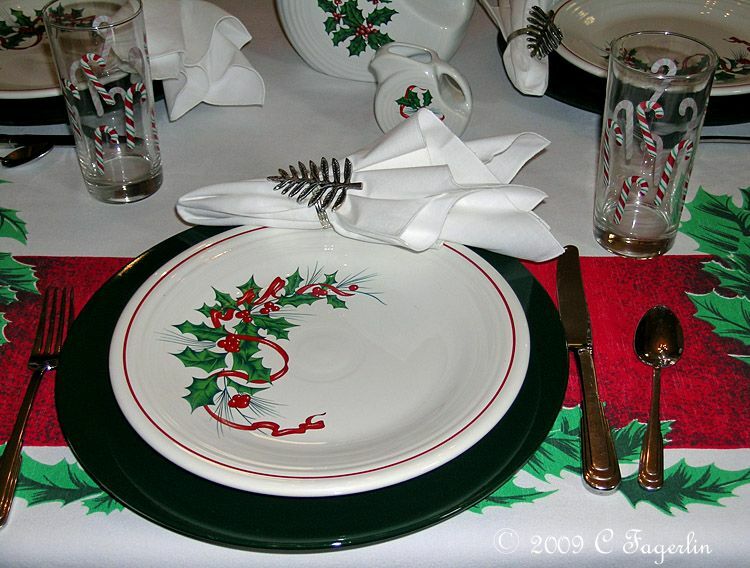 This vintage tablecloth is shown with Post 86 Fiesta decorated with the Holly and Ribbon decal. 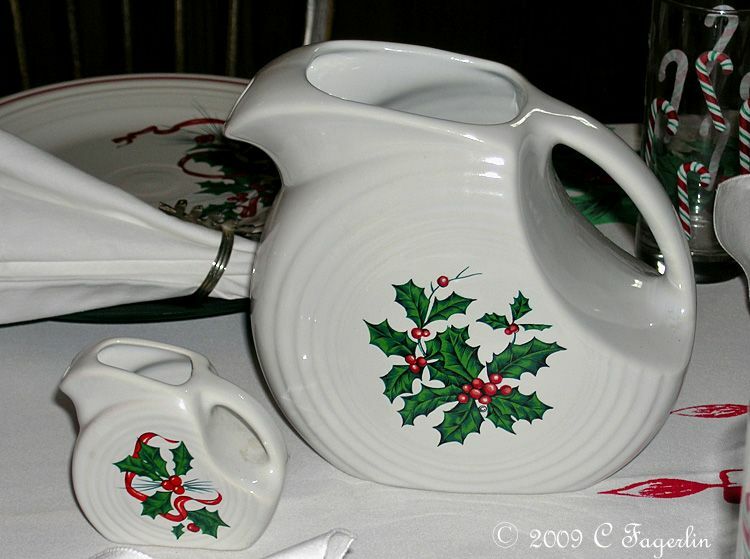 The original version of this pattern had no ribbon and the holly leaves were slightly different as seen on the large disc pitcher. 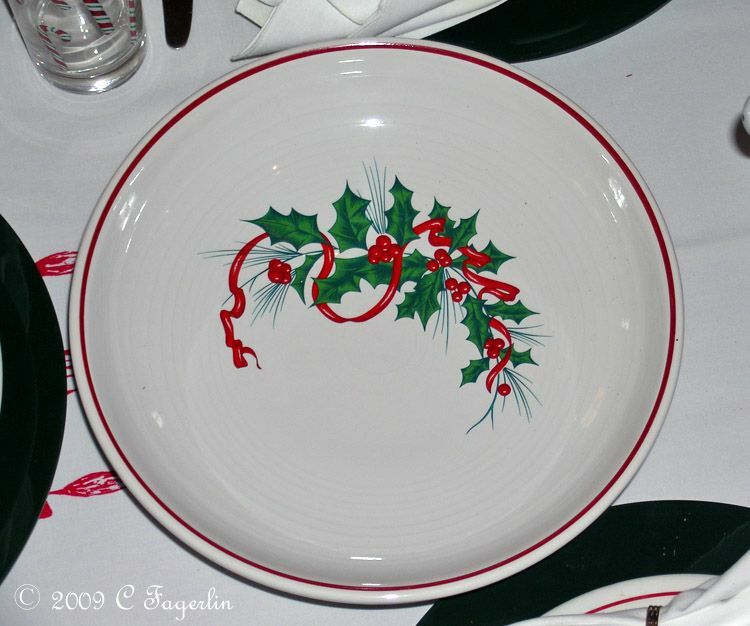 The Pizza Tray shown as part of the centerpiece and the Presentation bowl with this treatment were Homer Laughlin China salaried employee gifts and not released for public sale. 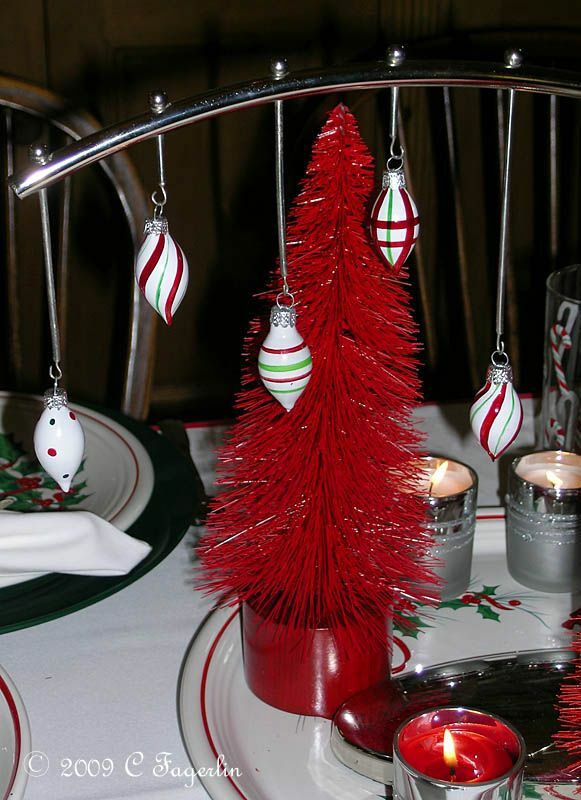 The chrome ornament hanger is from Crate and Barrel, flatware is Cityscape, glassware from Pfaltzgraff. 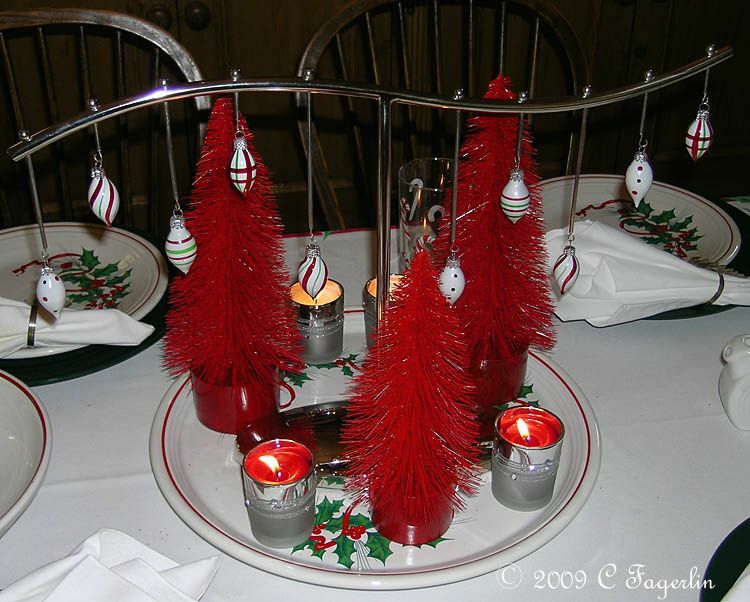 Red bottle brush trees from Tuesday Morning, votives from Michael's. 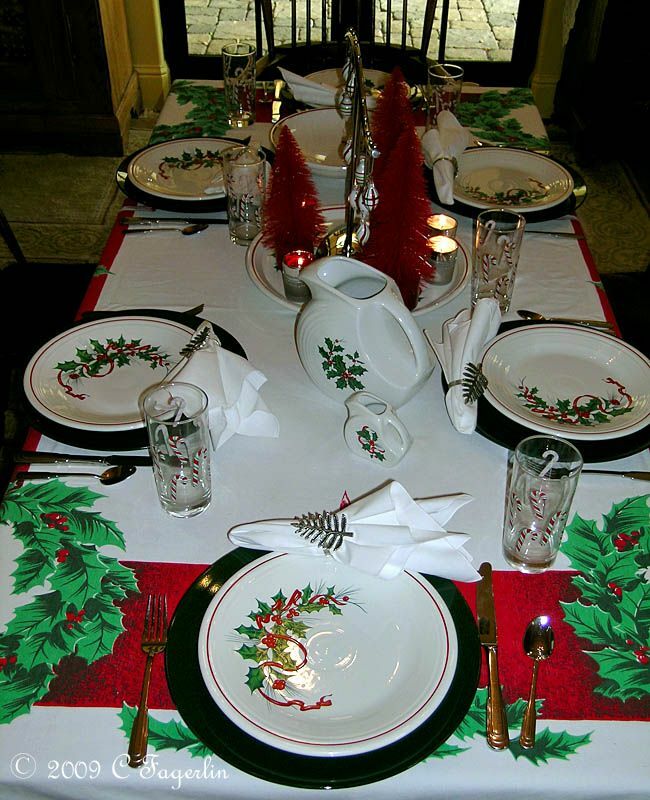 This is one of two tables we'll be using for Christmas dinner. The other will be posted on Christmas Day. 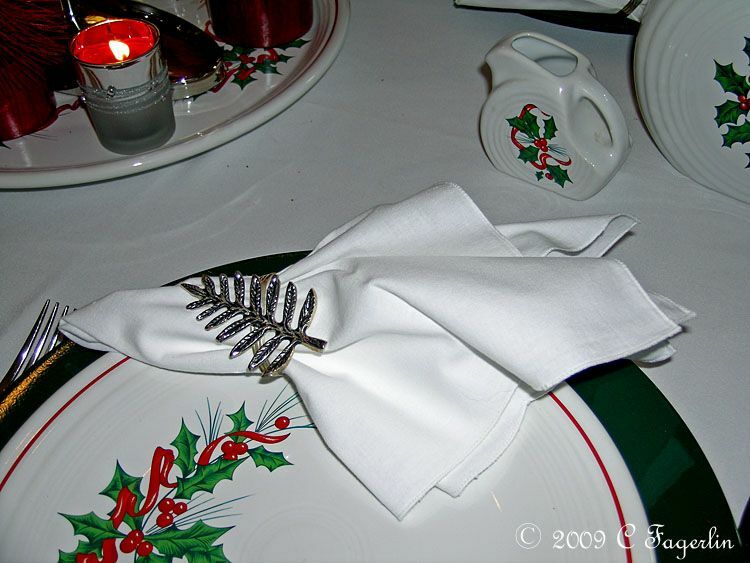 This table harmonizes so many great Christmas icons--holly, candy canes, bottle brush trees, ornaments...it's fantastic! 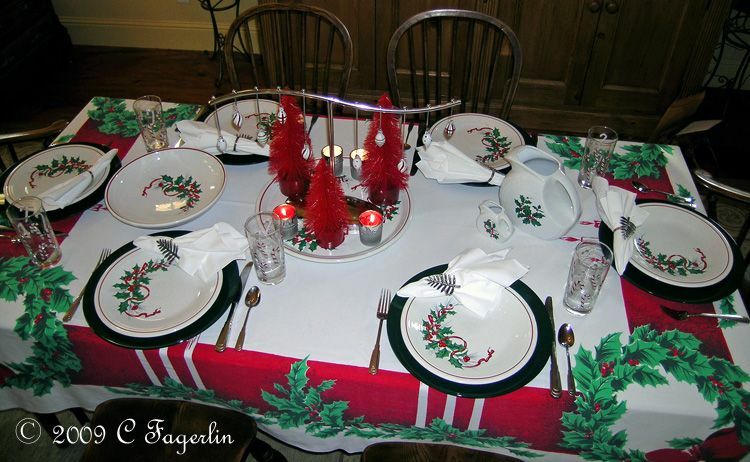 Can't wait to see the other Christmas table. 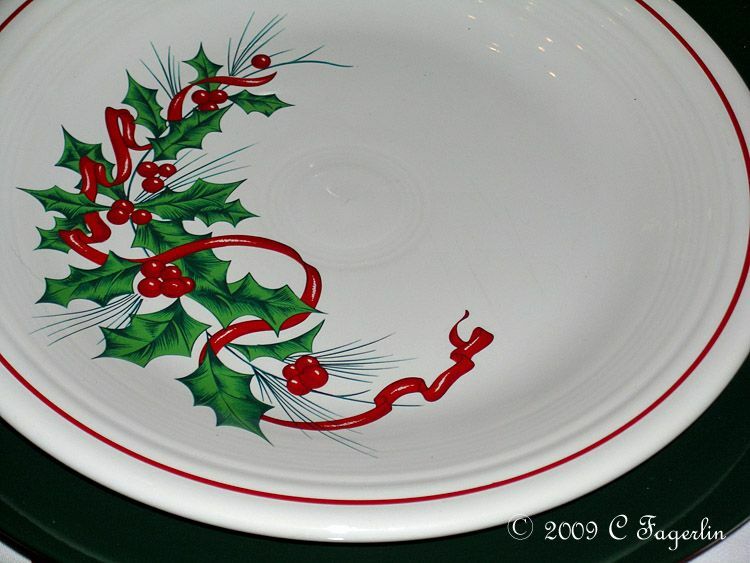 Love the plates and it all goes so well together. Wonderful table as always. 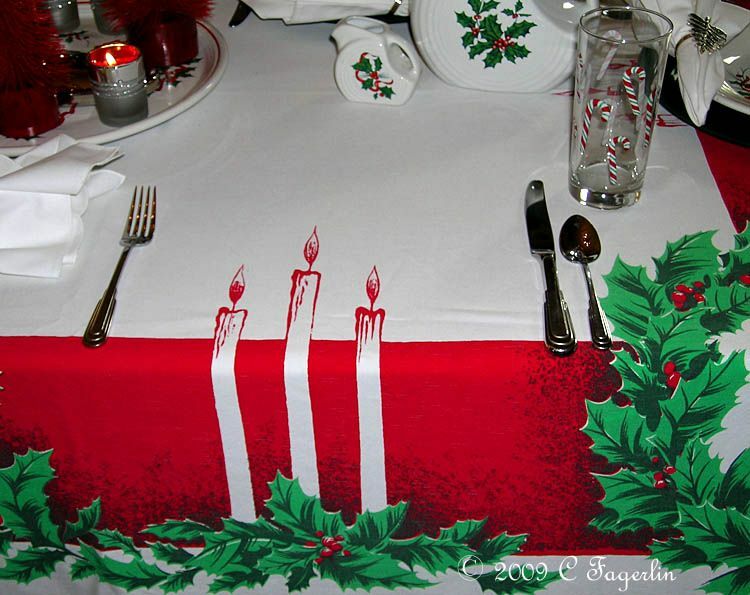 Looking forward to your other table. Merry Christmas. 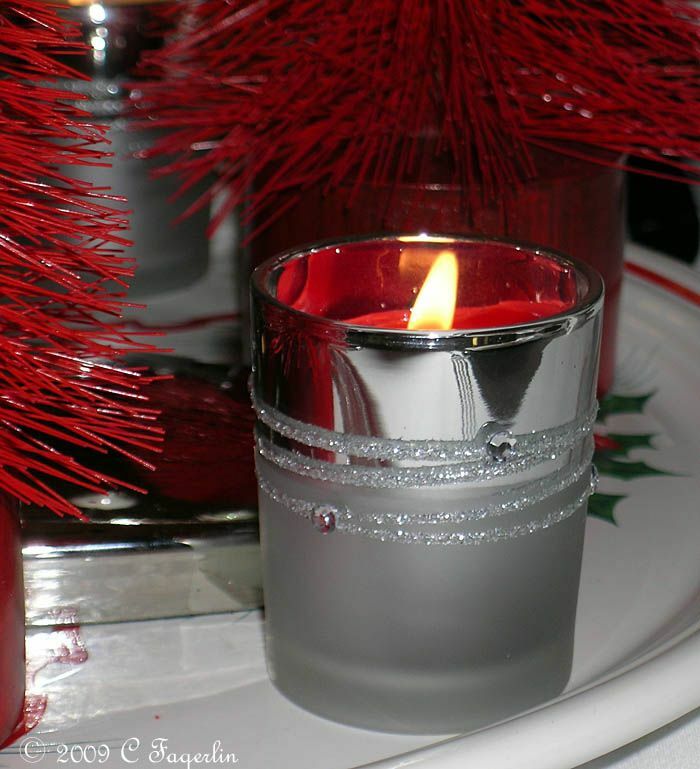 So warm, rich & festive. Thank you ladies, here's hoping you are all having a Merry Merry Holiday!